Australian fintech industry leaders today announced that Melbourne would later this year host a week-long fintech festival, which is expected to be the most influential event of its type in the Asia-Pacific region. FinTech Australia, as the peak body for Australia’s fintech industry, revealed it would be hosting Australia’s first national fintech festival, to be known as Intersekt. Intersekt will run from 27 October-3 November 2017 and will be held in partnership with FinTech Victoria, York Butter Factory and Next Money and presented by the Victorian Government. The festival has also already attracted key corporate and government partners including NAB, Accenture, EY, Acorns, Entersoft, VTWO, the Melbourne Convention Bureau and the City of Melbourne. Intersekt is expected to attract more than 1,000 delegates and participants, along with among the world’s best fintech thought leaders and influencers. FinTech Australia president Simon Cant said Intersekt would have a strong focus on helping better connect the Australian and Asian fintech environments. 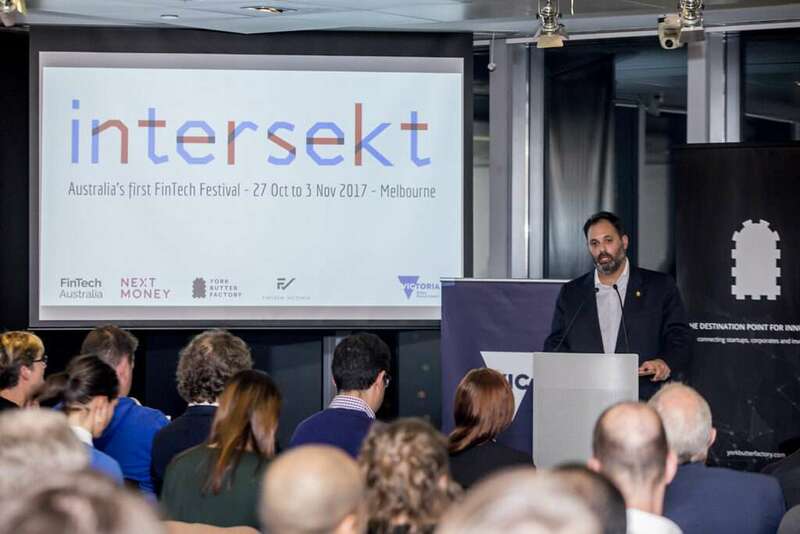 Philip Dalidakis, Victoria’s Minister for Small Business, Innovation and Trade, used the festival launch to announce that his government would be Intersekt’s presenting partner. “The Intersekt festival will showcase Melbourne’s outstanding credentials as a global fintech hub and the world’s most liveable city to a global audience of senior fintech leaders,” Mr Dalidakis said. FinTech Victoria CEO Alan Tsen said: “Fintech Victoria is excited to be involved with an event of this calibre. We’re thrilled to be working with Fintech Australia, Next Money and York Butter Factory to bring an event of this scale to Victoria. Strong support for fintech in the 2017-18 Australian budget, including a commitment to introduce an open financial data framework, remove tax on digital currencies and expand Australia’s regulatory sandbox.